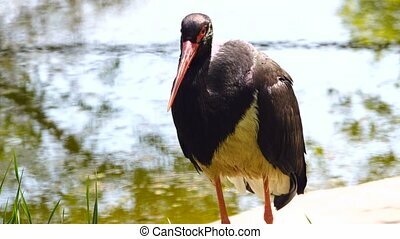 Black stork Ciconia nigra looking for food frog and fish in lake swamp. 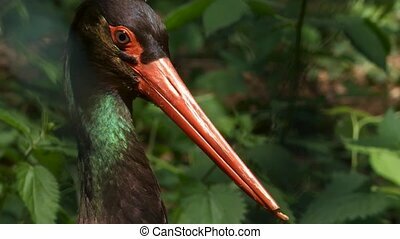 Vanishing protected bird in IUCN Red List book. 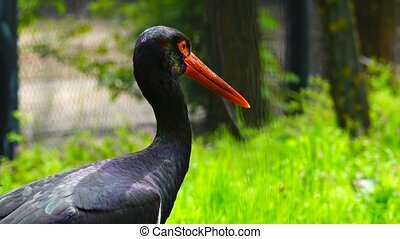 Black stork Ciconia nigra for brood brings food in nest. 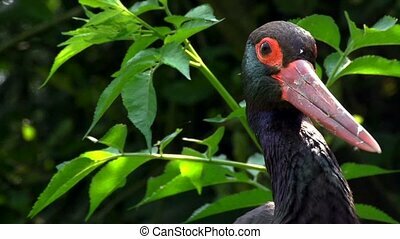 IUCN Red List bird book. 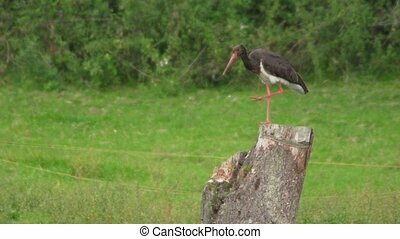 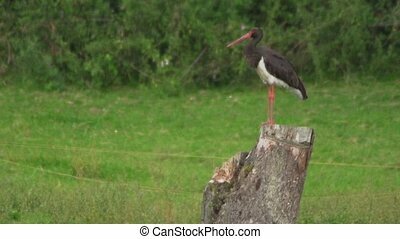 Black Stork (ciconia nigra). 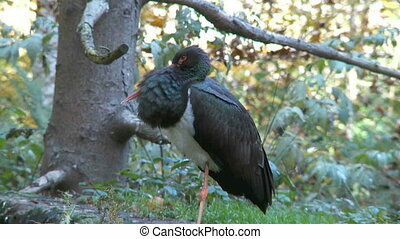 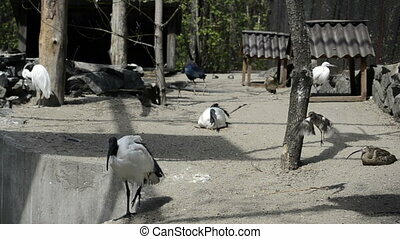 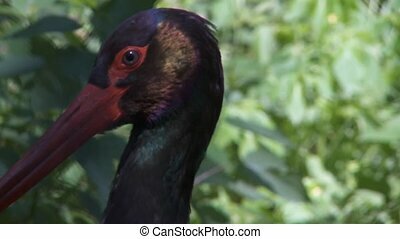 The black stork breeds in the warmer parts of Europe and Eastern Asia (Siberia and China). 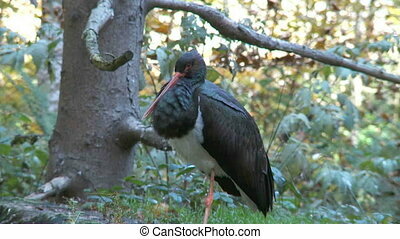 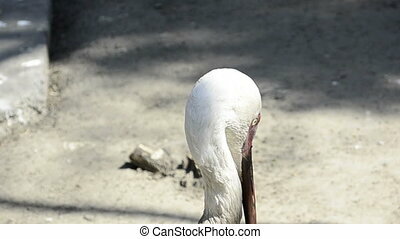 It is a long-distance migrant, wintering in tropical Africa. 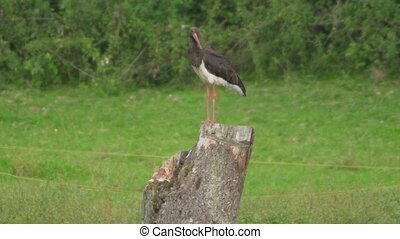 Black stork Ciconia nigra and it brood in nest. 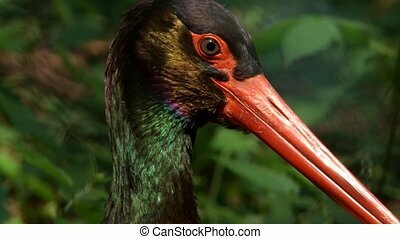 Vanishing protected bird in IUCN Red List book. 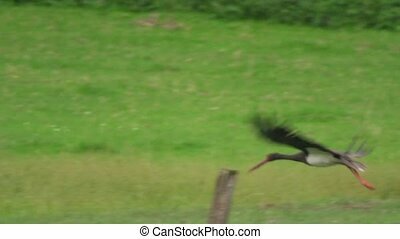 Black Stork (ciconia nigra) wades and forages in a ditch. 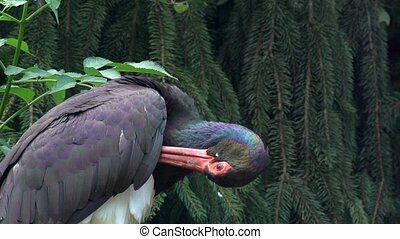 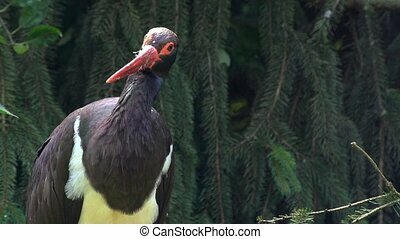 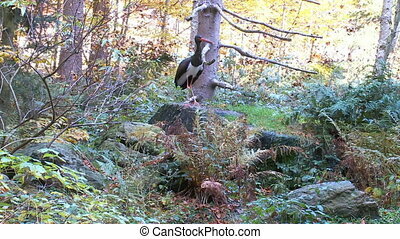 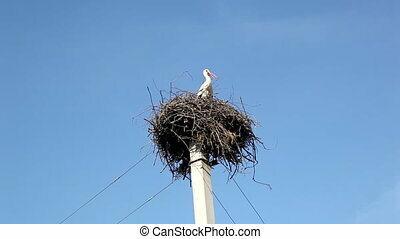 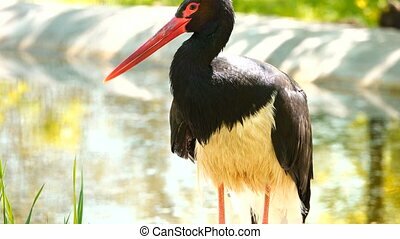 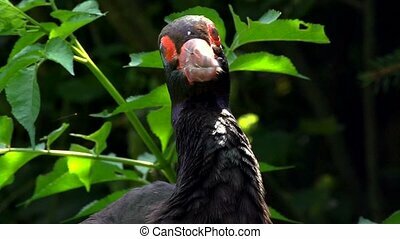 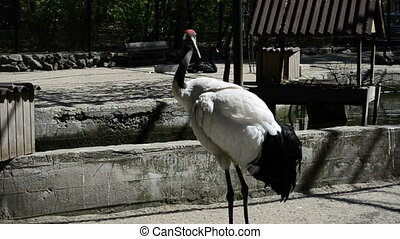 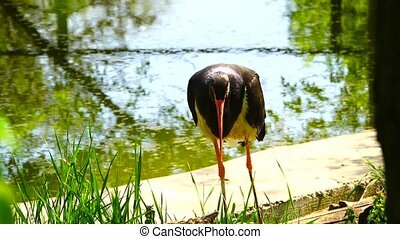 The black stork is a long-distance migrant, wintering in tropical Africa.